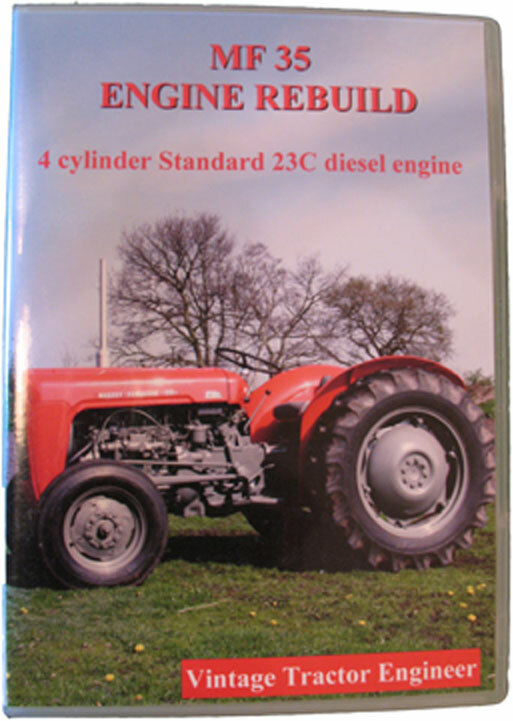 The Massey Ferguson 35 engine itself was dismantled today. 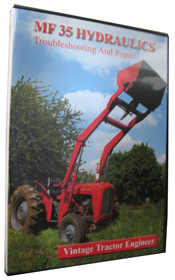 The cylinder head was removed before the engine was lifted from the rest of the tractor, and then the block and associated parts were lowered onto the bench with the engine hoist. We found several problems which would need some attention. 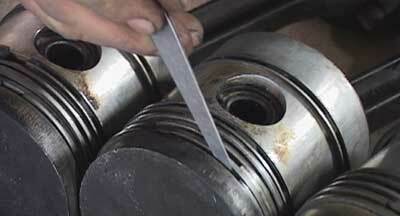 The hard facing on the camshaft was beginning to wear through and one end was particularly scored. It was beyond repair and so replacement was the only option. The step-out of the liners above the surface of the block was measured using a dial test indicator and each one was found to be out of specification, each liner also protruding from the block by a different amount. One of the liners had shims underneath its’ shoulder but it was still incorrect. 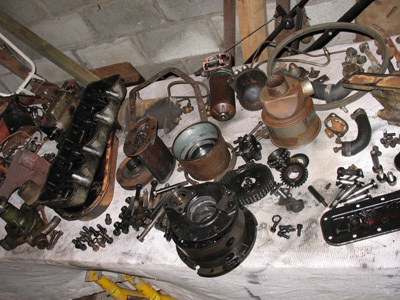 Some of the parts are shown in the photograph below as they were laid on the bench. There was going to be a lot of work to be done at the engine machine shop. We sourced a second hand camshaft that was in good condition but that would need new bushes fitted to the block and reamed to fit. The head and block would be to skim, new pistons to machine down accordingly, the step-out of the liners would also need to be corrected. 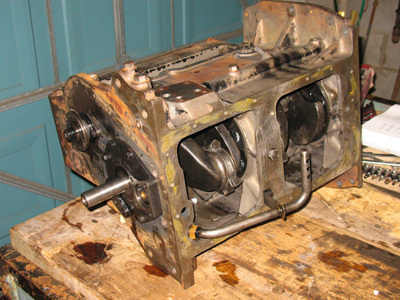 The crankshaft was measured with the micrometer (see specifications) and found to have been previously reground, but since had worn no further and was in good condition. We would just need to order the correct sized big end shells. The shells were not in bad condtion, but whilst the engine was stripped down it seems sensible to replace them considering the little amount of money that they cost.